Airmiles cards are offered by Canadian credit unions, small banks, companies, and big banks such as CIBC, Toronto-Dominion, Royal Bank of Canada, and others. Specialty cards offer perks and exclusive benefits such as sign-up bonuses, frequent travel programs, travel statement credits, miles back, and affordable interest rates. Customers enjoy premium benefits such as low introductory APR, merchandise and travel rewards, no annual fee, bonus points toward charitable donations, and large spending limits. Canadian banks feature specialty cards with airmiles that go toward airfare, electronics, tickets, and more. Holders are offered referral bonuses, free supplementary cards, reserved ticket access, assured reservations, and comprehensive coverage. Cards with no foreign transaction fees are ideal for frequent travelers and international travels. Many issuers also feature unlimited airmiles for discounted airfare and free travels, flexible points redemption, and premium rewards such as tours, cruises, packaged holidays, car rentals, and hotels, and others. Many banks partner with online retailers, cruise lines, and airlines and feature flexible redemption schedules and airmiles that can be exchanged for flights to major destinations in Europe, Canada, and South America. RBC, for example, offers a rewards program that requires 15,000 points for short haul flights to Canada and the U.S. Long haul flights to Alaska and Hawaii require between 45,000 and 55,000 rewards points. Some issuers offer rewards points that can be converted to airmiles and used toward international and domestic flights. Premium travel cards also feature concierge service, including sight-seeing reservations, special searches for major brand and hard-to-find merchandise, and temporary office help. 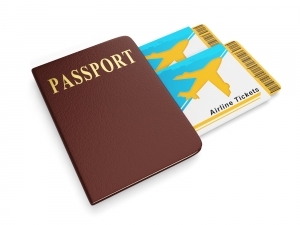 Many cards go with perks such as reservations for ship, train, limousine, and air travel and access to activities such as skiing, scuba diving, and others. There is a selection of specialty cards by Visa, Discover, and MasterCard that offer exclusive rewards and miles toward economy round trips and upper class upgrades. Some cards also feature zero balance transfer fees and allow holders to consolidate high rate balances. Most cards feature variable APR, companion reward flights, and the option to double miles. Additional cards are offered to close family members such as domestic partners, siblings, parents, children, and spouses. While airmiles cards offer plenty of exclusive benefits, some issuers charge high annual fees and processing fees. Other fees and charges to watch for include balance transfer, application, and late fees, finance charges, over-limit fees, and others. On the positive side, some issuers offer secured airmiles credit cards to help clients repair their credit. To qualify, credit card companies usually require solid income and employment and very good or stellar credit. Applicants fill in information about their combined and personal income before tax and their employment status, i.e. homemaker, retired, unemployed, temporary, or salaried professional. Customers are also asked about their residence status, checking and savings accounts, and whether they require optional services such as balance transfers and supplementary cards.